Can't see the video? Click here to read the script. SCENE1) IT’S TIME TO BRING YOUR IDEAS INTO LIFE! SCENE2) BUT THERE ARE TOO MANY GREAT AGENCIES AND FREELANCERS. 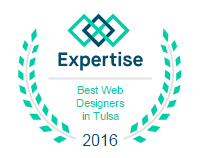 BUT WHY SHOULD YOU TRUST US WITH YOUR WEB DESIGN PROJECTS? SCENE3) WE DON’T DESIGN ECOMMERCE WEBSITES THAT JUST SELL PRODUCTS OR SERVICES. SCENE4) WE DESIGN WEBSITES THAT FULFILL THE NEEDS OF YOUR CLIENTS. SCENE5) WE DON’T DESIGN MEMBERSHIP WEBSITES THAT JUST SELL SUBSCRIPTIONS. SCENE8) WE DESIGN WEBSITES THAT OFFER FRIENDSHIP TO YOUR GUESTS. SCENE9) WE DON’T DESIGN SEO WEBSITES THAT TELL SEARCH ENGINES TO LIST YOU HIGHER. SCENE10) WE TELL SEARCH ENGINES YOU HAVE EXPERTISE AND CREDIBILITY. SCENE11) WE DON’T OPTIMIZE CONVERSIONS BY TELLING VISITORS WHAT TO DO. SCENE12) WE DESIGN WEBSITES THAT ENGAGE AND ENTERTAIN VISITORS. SCENE14) WE DESIGN WEBSITES TO HELP YOU MAKE THE WORLD A BETTER PLACE. SCENE15) JOIN OUR MISSION TO BUILD BETTER, CONTACT US TODAY! Want to see some of our gorgeous websites? Website design, SEO Audit or just shopping around? How much does a website cost? Tell us a little bit more about your project and we’ll give you an estimate in 5 minutes. Are you ready? Great, we’re too! Let’s start with a quick survey so that we can understand your needs and requirements better. Maybe you already have a beautiful website but you’re curious if it actually works. Want to learn how you compare? We don’t outsource our business unlike many other US based agencies or “developers”. Since there’s no middleman, the work is completed faster and more efficiently. We keep working until you’re fully satisfied with the results. Worst case scenario, we have 100% money-back guarantee. You can reach us via email, phone or skype during the project. Follow the development day-by-day and let us know your ideas about the progress. And we’ll address them quickly. All of our websites are responsive, which means that they look great on desktops, tablets and mobile devices. You don’t even need to ask for it. You don’t need to be tech-savvy to update/maintain your website. We provide detailed tutorials on our youtube channel. See an example here. Something is broken, or not working as it’s supposed to be? No worries, we provide 3 months of free support after finalizing the project to make sure we haven’t missed anything. Or just stalk us for now! Click to see why we’re the best!